Mystove offer a 'one-stop' wood burning stove supply and installation service.. As we are qualified HETAS approved installers, you can be sure the work we do complies with building control regulations for your peace of mind..
We can call round to your home and advise on all aspects of installing a woodburning stove in your chosen room, discuss with you all aspects of the work required, and provide an obligation-free estimate. Mystove are official agents for Woodwarm Stoves, Hunter Stoves, FDC, Ecco Stove and Salamander stoves..or any other brand to order! We have examples of several nice quality wood burning stoves on display in our Showroom in Ockley Lane Burgess Hill. Most makes of wood burning stove can be sourced and supplied at a very competitive price. Many types of fireplace hearth materials are available including brick and granite in a wide range of colours and finishes. Lee Beason stonemasons are next door to our unit. They stock a wide range of granite and stone for you to choose from. 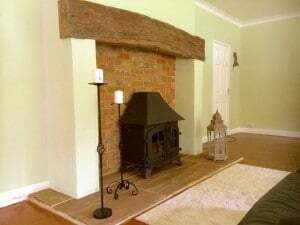 Oak fireplace beams can be made to your exact requirements by Oakmasters and fitted by us should you require one. Many customers take the opportunity when having a new woodburning stove installed to redesign their original fireplace, either to accommodate a larger stove or to enhance its character. Our experienced fireplace builder is available to work with you to design a practical and appealing fireplace. All chimneys are swept and inspected before work commences to ensure suitability for a liner and to ensure it is in good condition. We can install chimney pots and cowls to ensure the chimney has a proper air flow for correct and safe stove operation. Downdraft problems can be cured with chimney modifications or rotating cowls that we always carry in stock. 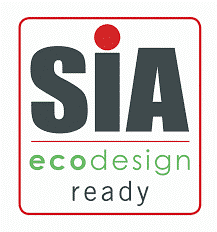 All stoves are installed by our HETAS registered installers, ensuring peace of mind. The HETAS process also deals with the required building control notification and certificate of installation. CO (Carbon Monoxide) monitors are always installed along with appropriate air vents for your safety. Mystove offer a complete after sales service to ensure your safety and the correct performance of your woodburning stove, including annual servicing and chimney sweeping.